Special colored pencils require specific types of paper if you want your art to turn out well. This article is going to take you through some of the best types to use with your Prismacolor pencils. Although colored pencils used to be thought of as just for kids, they are steadily growing in popularity among collectors, galleries, and artists both casual and professional. Artists everywhere are taking advantage of this wonderful medium as enthusiasts marvel at what they create. Odds are, you’ve probably used colored pencils as a kid and are somewhat familiar with them, but the pencils you would have used as a child are very different than professional pencils, which have more pigment, allowing for deeper, richer color. 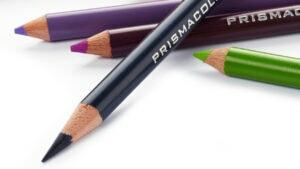 Prismacolor pencils, in particular, have softer tips that lead to drawings so pigmented and smooth that they can look like paintings. For the best result, however, you must invest in some quality art paper.